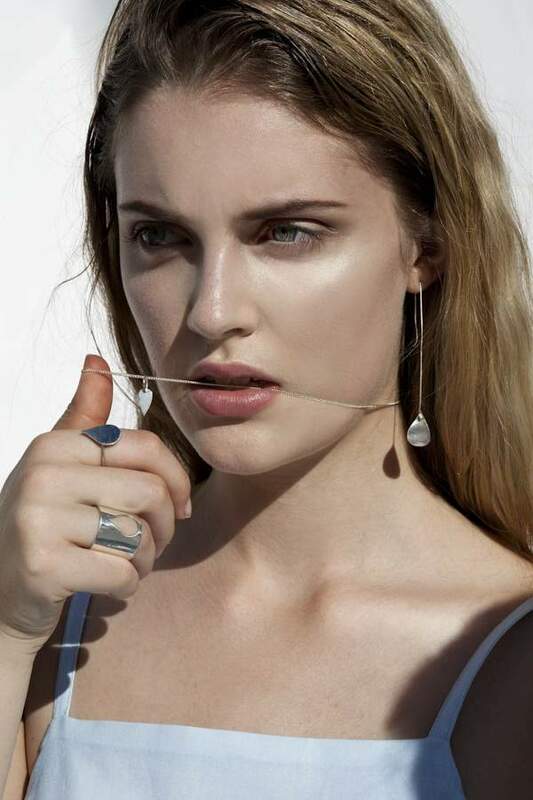 Brisbane's Edwina Sinclair takes fashion back to Aussie beach nostalgia. Taking design cues from Everything Adorable Ever works a treat for Edwina Sinclair. 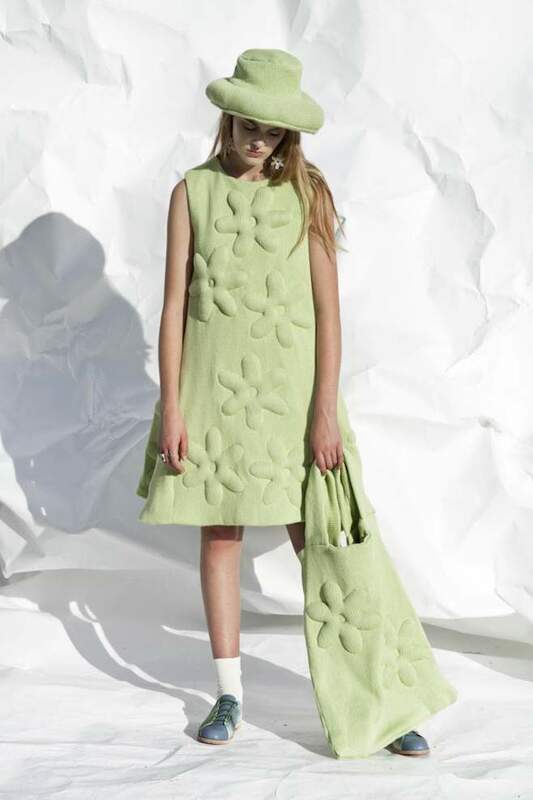 The 22-year-old Brisbane designer behind Australian label Soot counts Emojis, kiddie terrycloth beach ponchos and post-swim towel huddling as the triggers for her SS14/15 collection 'Splash'. A beachworthy assortment of flowing, wide-leg pants, summery tunics and her signature knitted bubble print, Soot's spring/summer collection is a pastel-lover's paradise. An unfathomably recent graduate from Queensland University of Technology (we're talking a couple of years), industry favourite Sinclair took us through her pretty-as-blazes looks for next season. Soot's impossibly summery SS14/15 collection 'Splash' found its beginnings in Sinclair's enthusiasm for both structured '30s beachwear and her own Australian beach-bound childhood. "I wanted to incorporate humour, luxury and texture which are values that I aim to include in all Soot collections," she says. 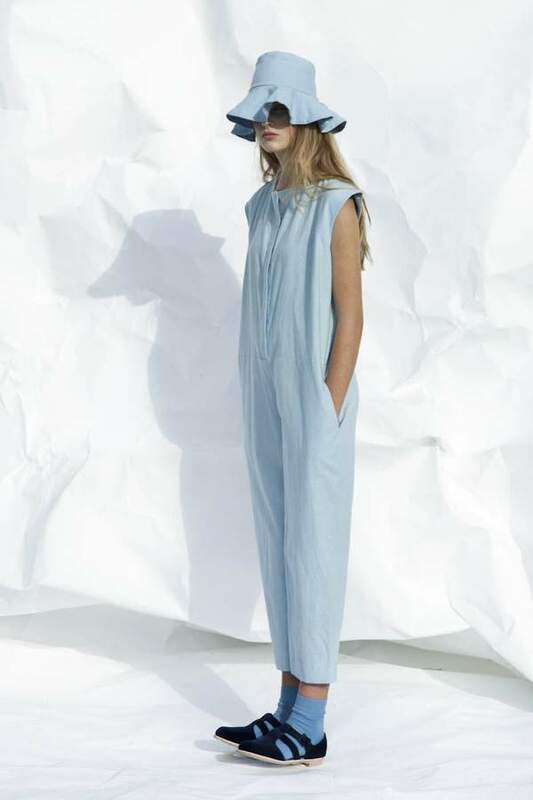 "Inspirations came from looking at 1930's beach loungewear and vintage pyjamas. I am all about comfort so this is subconsciously incorporated into the garments shapes." In an adorable move that reflects Sinclair's age, she found further inspiration right under her thumbs. "I further looked at Emoji's for the prints to incorporate another playful element and develop my 3D textures." Full of flat, flowy tunics, wide-leg pants, 'Splash' gives a firm nod to Sinclair's Australian heritage. Remember those 'ball gowns' you and your tiny crew used to make out of towels on the beach, perfect for a parental parade? Sinclair's taken those makeshift moments of Roxy towel-made haute couteur and made them into Actual Garments. "I love the beach, I am there almost every weekend!" she says. "The homage to my Aussie roots comes from the colour, the water references and some literal references too! 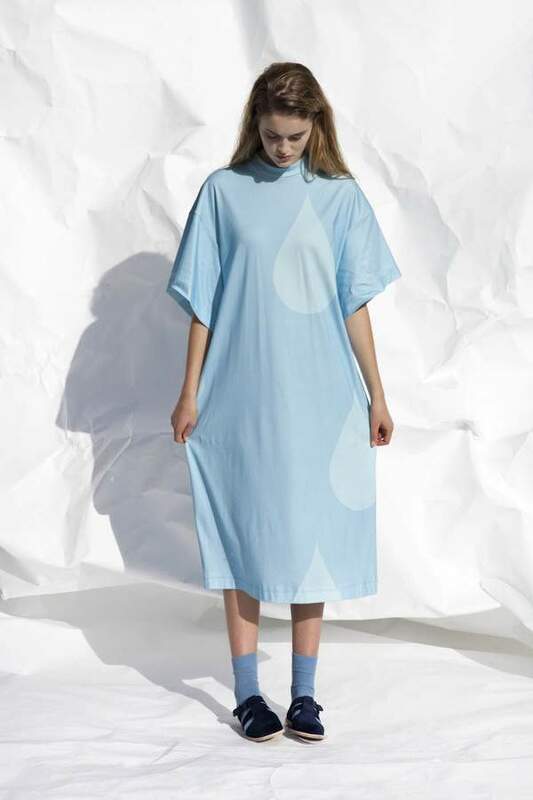 Such as the linen towel dress — the shape came from wrapping a towel around you after a swim and the droplet jersey dress silhouette came from the terry toweling ponchos children wear at the beach!" Sinclair's signature knitted bubble bags and dresses popped up at every turn at this year's Mercedes Benz Fashion Week, with many a front rower swanning by with SOOT's most recognizable items in tow. 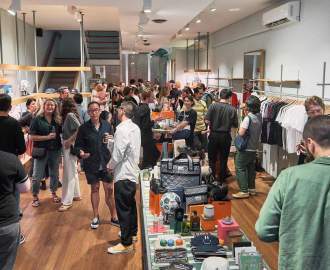 Trending at MBFWA is a dream for most up-and-coming designers, and while Sinclair is flattered by the design's success she can see the pressure such hoo-ha can create. "It is great to have other people respond so positively to an idea that has come from a concept to a physical object," she says. "When something does have a good response it does put the pressure on to create something that will be as well received the following season." Edwina isn't the only talented sibling in the Sinclair family. 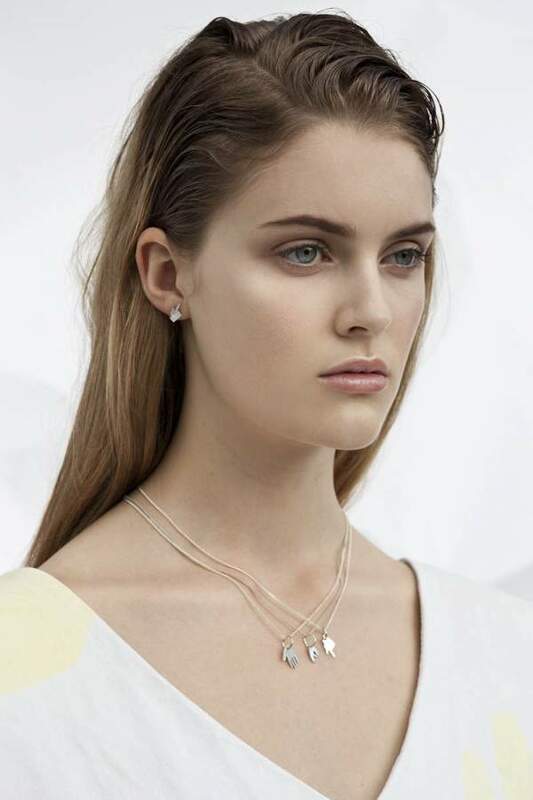 'Splash' is the first SOOT collection to feature her sister Tilly's jewellery designs. Fusing the strengths of the Sinclair sisters in one gorgeous collaboration, 'Splash' is a beautifully-executed family affair. "It is fun! Also it is very easy to talk openly about our ideas and if we disagree on something it is easy to resolve and compromise," says Sinclair. "It is really great that Tilly wanted to come on board to collaborate this season. I think the jewellery has added a nice touch to the collection." So where does one of Brisbane's best exports hang out when she's at home? "I like Shady Palms, Tipplers Tap and Lefty's for a drink with friends. I usually go to Jamie's Espresso Bar or Reverends to get my coffee (both in Fortitude Valley just near my studio). 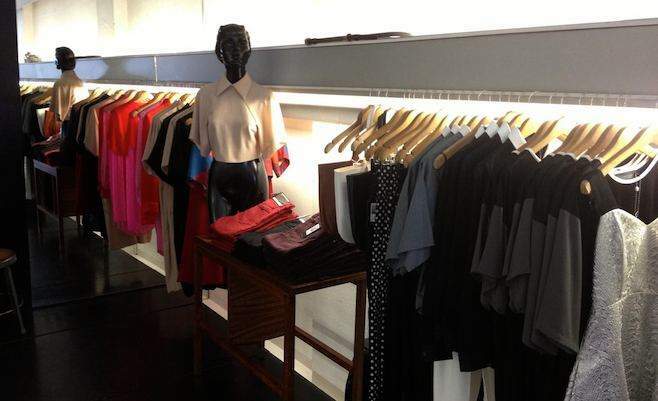 I shop at my favourite store which also happens to be Soot's Brisbane stockist, Blonde Venus in Fortitude Valley." 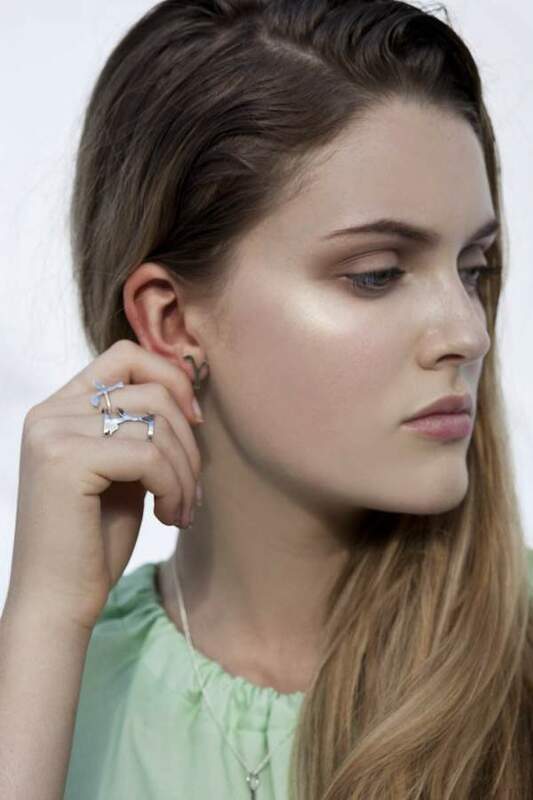 Now for more pretty pictures, here's Soot's SS14/15 'Splash' collection.